Innovation, dedication and care are our inspiring values Since 1980, Afinox has been an Italian and international specialist in the design and production of high technology equipment for the restaurant industry. Following trends and market developments, the company has included in its offer a range of increasingly rich equipment for food refrigeration, becoming over the years a point of reference for professionals and companies in the sector. Refrigerated cabinets, blast chillers, display cases, food islands, refrigerated tables, pizza prep counters: Afinox offers its customers complete lines for the preparation and presentation of food in a variety of applications: restaurants, hotels, catering, pastry shops, fast food chains, canteens. Technological innovation, material research and care in manufacturing are the elements on which its activity is based, accompanied by a responsible attitude towards the environment, to provide customers with products that are both efficient and at the same time environmentally friendly. The design phase takes place in an internal office where a team of designers, technicians and engineers is committed to developing new models and prototypes to create the industry’s most cutting-edge machineries. After the production phase, machines are subjected to continuous reliability and safety testing to deliver a final product that meets all efficiency standards. 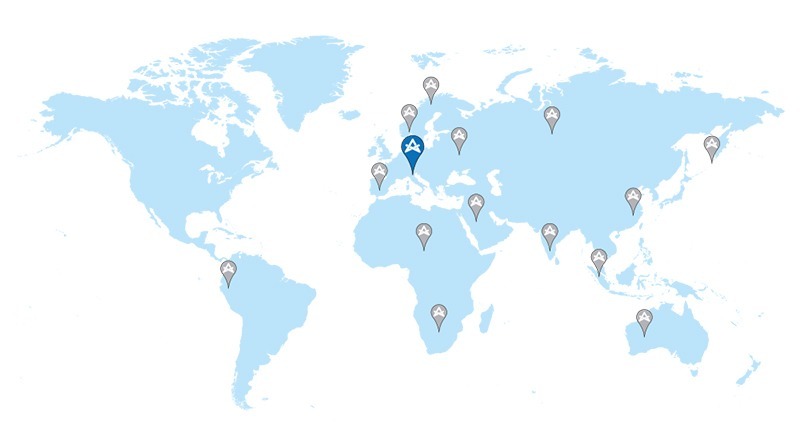 Quality, design and attention to the environment are the strengths of the production cycle, thanks to which Afinox has now become one of the leading companies in the professional refrigeration sector in Italy and Europe, expanding continually in the East and American markets. Respect for the environment is of prime importance, for this reason the production process focuses on the creation of low energy consumption products. From the use of environmentally-friendly refrigeration gases to that of HFO as an agent for product enclosures, from recyclable materials to water-soldering systems, the company puts in place a series of policies to reduce the environmental impact. In welding refrigeration plants, Afinox has also developed a special helium control system to limit the risk of Freon’s micro leaks responsible for frequent environmental pollution. All materials are disposed of in compliance with the WEEE legislation. The sales strategy is based on CRM (Customer Relationship Management): at the core of each business, the company first puts the customer’s needs and demands, with the aim of building a relationship that is personalized, loyal and durable in time. From the design phase to the after sales service, Afinox is committed to fulfilling a fundamental goal: the satisfaction of its customers by providing them with a high quality service that accompanies them during all stages of the purchase. Want to learn how to best use our equipment? Schedule a demonstration with one of our chefs at our dealer in your city or at your place to support you in the insertion and use of equipment, with particular attention to the optimization of resources and Food Cost. The high quality of the equipment and services is the distinguishing factor for which the company can boast numerous certifications and certificates of excellence. In December 1995, all products obtained the CE mark, in accordance with European regulations for marketing and use. In January 1998, the company was among the first in Italy to receive ISO 9001 certification in the refrigeration sector. The efficiency of the company system is first confirmed in 2003 with ISO 9001-2000 certification, then in 2009 with ISO 9001-2018. Afinox, for 38 years in the field of designing and manufacturing professional refrigeration equipment, is today one of the leading European companies in the sector. The Made in Italy quality of Afinox, based on continuous research and innovation, combined with the important support of an extensive network of dealers and collaborators, allows us to grow our ideas and products in kitchens and laboratories around the world.